Home / Asia / International / product or service reviews / Science and Technology / Singapore / SGD 2.7/MB and My Singtel hi! card customer care experience! SGD 2.7/MB and My Singtel hi! card customer care experience! 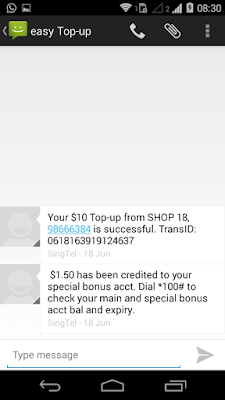 In 2012, I had bought a local Singtel Hicard, which had worked without any kind of problem. 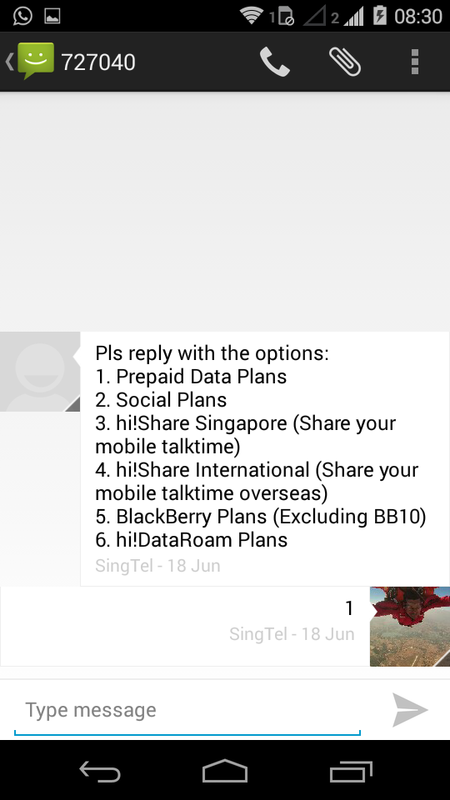 So Singtel was my first preference when it came to picking up a local SIM for voice/data usage in Singapore. While TigerAir’s inflight magazine advertised a SGD 15 Singtel card which was good enough for my 1 week usage, the one and only counter that was open at 5.30AM at Changi airport as we came out didn’t have stock of SGD 15 card (Rs 720). They only had a SGD 50 (Rs 2400) which I felt is too much for my need, so I didn’t buy. 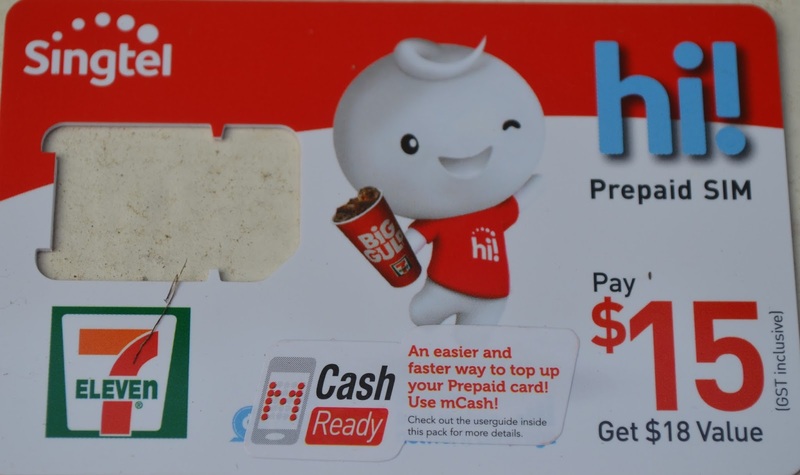 Later in the day, I bought a SGD 15 Hi Card from a 7Eleven store near Novena MRT. It advertised to have SGD18 worth value and I got a tiny speaker free. Store keeper didn’t bother explaining me the plan and what it includes/excludes. Generally staff at 7Eleven will be very busy as there'll be others customers waiting, so they can't afford to spend lot of time explaining SIM card to customers. They ask customers to refer the leaflet inside. The leaflet that came in the package didn’t specify how many GB data I can use or what are the per MB data charges. I assumed what I had seen in the advertisement will automatically apply and started using the card. I made one call to India using +91 prefix, must have uploaded 10-15 photos and few updates throughout the day and by night suddenly my data stopped working. Mobile battery also drained, Oasis Hotel had free WiFi, I was tired to worry more about it, so I went to sleep. Next day I realized that I won’t be connected during the outings and I can’t call home. I told about this to our tour guide, Ms Winnie. She offered to buy me a top up card (will be reimbursed by our host, Singapore Tourism Board). 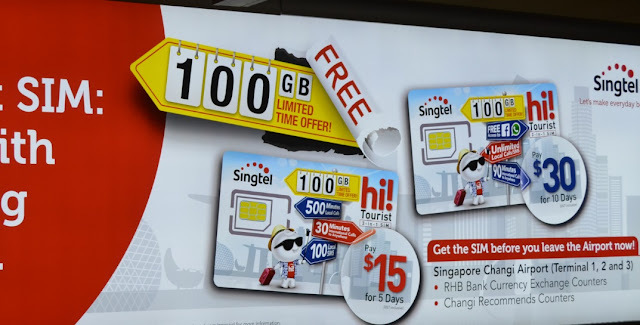 While I was bleeding money on SIngtel’s overprized data charges, fellow bloggers Nivedith and Hrish who had picked up a 32 SGD pack of StarHub had 1000 GB worth data at their disposal and were wondering how to spend that much in 5 days. We went to same 7 Eleven store to buy a topup. 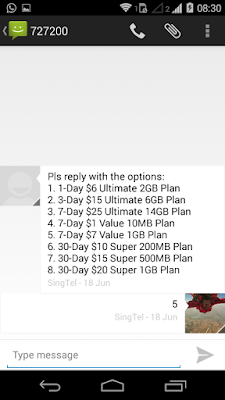 From the list of various call and data options available, I realized that SGD 7 top-up which gives 1GB data with 7 day validity is the most suitable one. But store staff told me that there is no 7 $ top up card, she had only SGD 10 one. 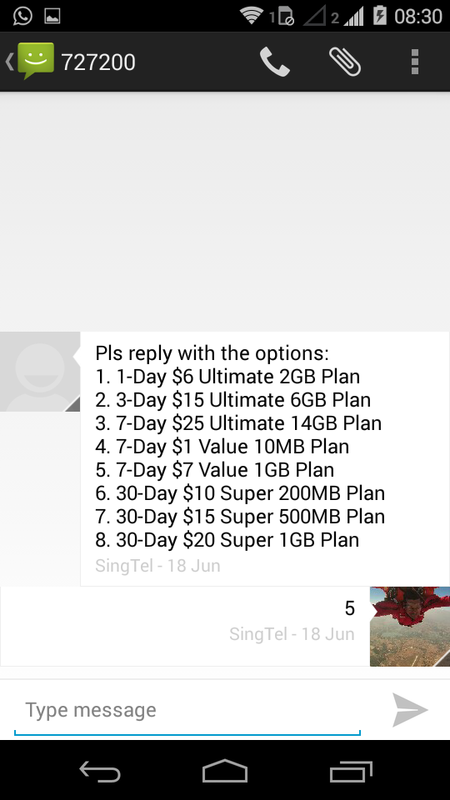 Store staff didn’t tell me that I need to top up for 10 SGD and then send some SMS and activate the 7 day 1 GB data plan. 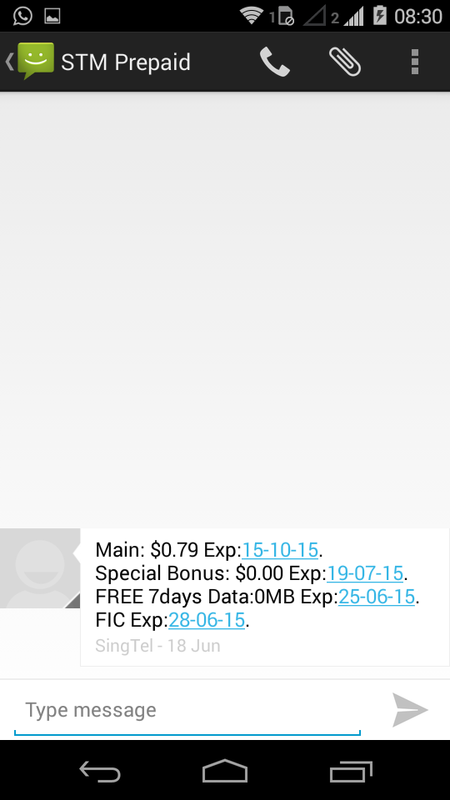 I wasn’t sure what is the billing in that 10 dollar recharge, so I opted not to recharge. I managed without connectivity till afternoon. Later in the evening, at a small shop in Little India near India Heritage centre we bought a SGD 10 popup., I asked for help, he said I need to recharge for 10 SGD and then activate data plan which will consume 7 SGD and will get me 7day 1GB data plan. I asked him to help me with top up and activation, which he did, we paid and my data started working again. 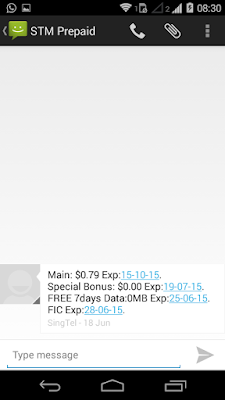 But then, again same day night, my balance reached 0.79 SGD and data stopped working, without me making any calls. I had only used a bit of data. 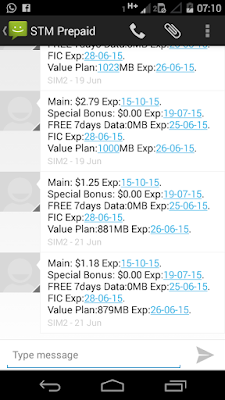 This was disturbing, as I lost 25 SGD so far, for using just a few MBs and not lasting even 48 hours. I logged into Singtel website to find out my data usage and billing. There was no provision to check usage and how my balance went down. I could only see remaining balance and had options to top up. I figured out that this can’t be natural and called SingTel customer care, toll free. I spoke to a lady named Flowrence (I am not sure of exact Spelling of her name), explained my concern that despite spending 25 dollars I am not able to use the SIM card. 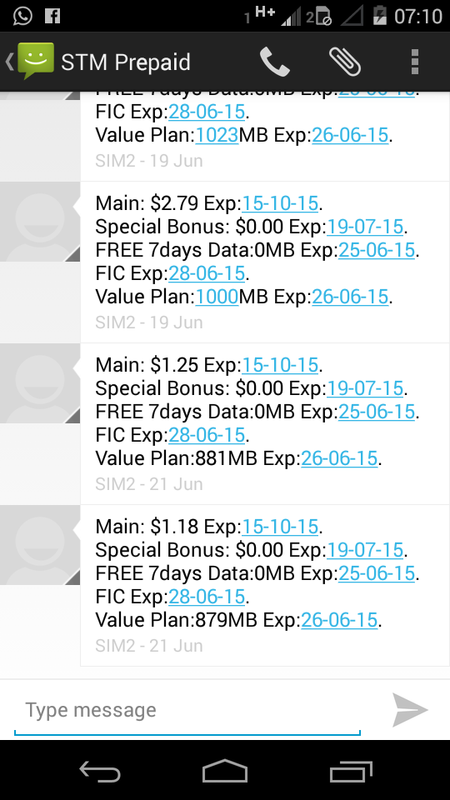 She checked and told me that I am being charged SGD 2.7 per MB as I had no data plans. I told her that I did activate Data plan yesterday. She asked if I sent a message with 1 for confirmation. I said there was no such instruction. She asked me to mail the screenshots of the activation to g-hicard@singtel.com - which I did. I called again after sometime, someone else picked up and I asked to speak to Flowerence, so that I don’t have to repeat the story again. I was told Flowrence was busy and would call me back. Within sometime she did call me back, I asked for an update. (Didn't have a single instance where Airtel/Vodafone guys in India called me back) She put me on hold stating she’ll check the mail. 4 minutes into hold and nothing happened, so I disconnected. She promptly called back after sometime, apologized for long hold and confirmed that there was no fault at my side. She offered to restore the balance and data plan. She was sensitive enough to say that till data plan gets enabled, I might still lose 2.7SGD per MB, so offered to deactivate my data for some time. I told her not to worry on that, as I can de-activate mobile data on my phone itself. She said one hour will be needed for this restoration. I checked after one hour and my data and balance was promptly restored. I should have asked for my initial 15 dollar purchase, but that didn’t strike me at that time. I cross checked the slip that came with SIM card- nowhere it called out the Data charge of SGD 2.7/MB or the need to activate some plans for data offers. I realize that this SIM card doesn't look same as the one shown in Changi advertisement, but the value was same. Singtel should call out things clearly to avoid confusion. I am happy with the quick and prompt response and action from Singtel customer care. Can’t think of airtel or Vodafone folks calling me back to sort out my problem. Instead Airtel/vodafone are happy to charge by the minute for calling customer care, even when they are totally incompetent to address any issues. But then, I have some serious feedback to SingTel from above incident, to prevent unsuspecting customers from getting looted. Majority of the customers would be needing lots of data usage. So instead of expecting customers to do some top-up or activation, by default include a few hundred MB worth data in the SIM Card, without needing any activation. If you’re charging 2.7SGD per MB, please call it out clearly on the package/instruction leaflet. Nowhere in my leaflet I was communicated about this billing rate. If I had known earlier I would have either not bought the card or would have activated necessary plans for data usage. Your advertisements in airport and inflight magazines also do not indicate need for an extra activity step to enable data plans. How am I supposed to know that I am signing up to get looted? Educate store staff to warn the user about what needs to be done to avoid high billing. If a customer feels cheated in his/her first usage, it is unlikely that he will continue with the brand. While I called the customer care to get things sorted, many will find it more convenient to simply pick-up a sim card from a competition brand. Instead of insane data charges (2.7SGD per MB is complete rip off) and complicated processes, it will be nice if card comes with some minimum sensible plan, which customer can consume till he/she gets a sense of how the billing is working. Similarly, if you dial India using +91 you will be ripped off. For cheaper rates we should use 01991 India number. It will be nice if this conversion is done in the back-end (customer dials +91 as usual and 019 prefixing is done in the back-end by the system. Technology should adapt to user’s needs and conveniences, not the other way round where customer should do lots of circus to get value for his money. Nonetheless, I appreciate prompt and timely action from Singtel customer care. If they had asked for a day or two, then it would have been useless for me. During this whole process, we also learnt that in Singapore one person can get max 3 SIM cards per life, due to security reasons. I am done with two cards already! You can also pickup a Singtel postpaid card in India through CLAY/Matrix like services, but I feel it is more practical and convenient to pickup one live at Singapore only, as CLAY/Matrix schemes have many drawbacks. Read my review here. Update: Appreciate SingTel team acknowledging my feedback on twitter and promising to act on it. SINGTEL sells its services like a snake oil street vendor. 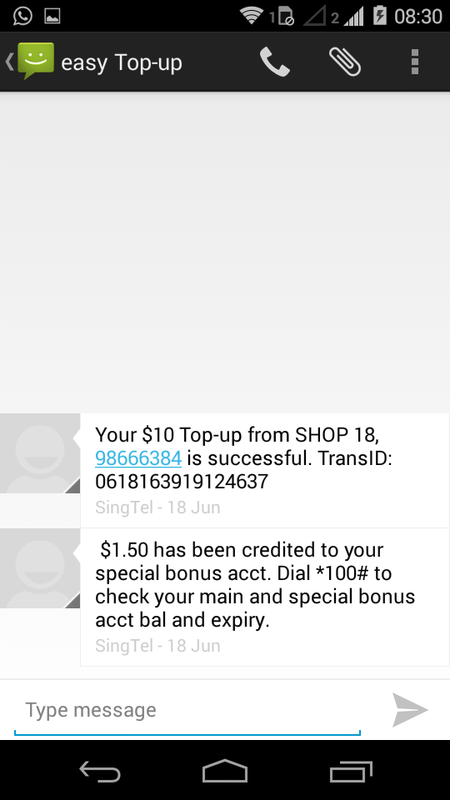 You have to be very careful with SINGTEL especially with their prepaid cards. Check your remaining balance EVERY DAY, or several times a day. 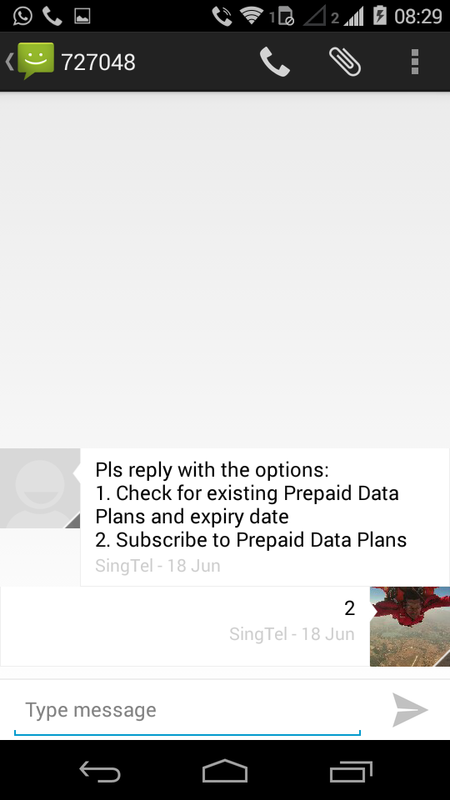 Many other users have written about their bad experience with SINGTEL PREPAID. Just google and you can read all about it. My main peeve and only peeve with Singtel is that they sucked money from my Main Account (remaining balance) without any warning. From $20+ the balance could go down to $6.00+ Ridiculous.